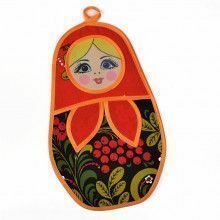 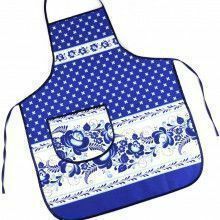 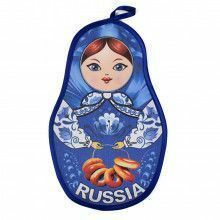 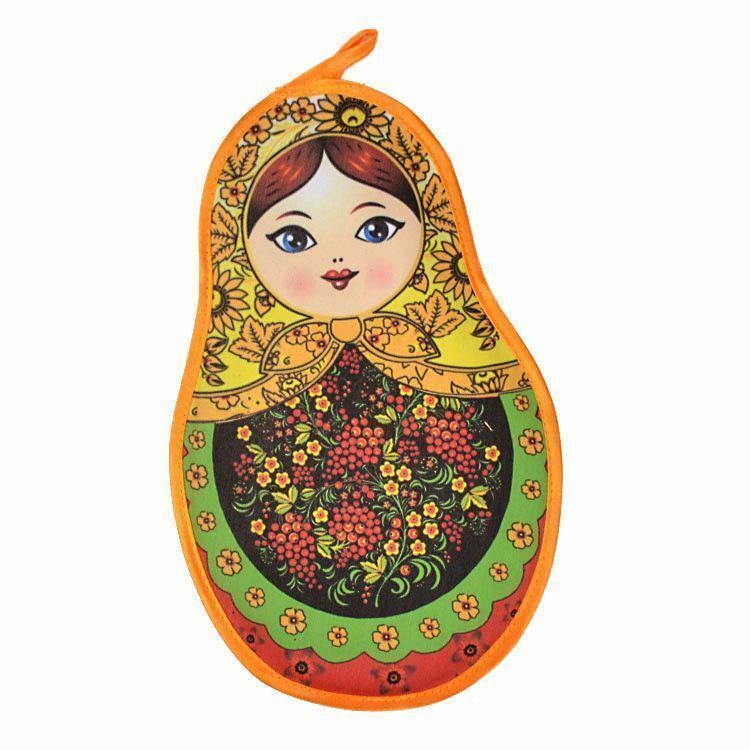 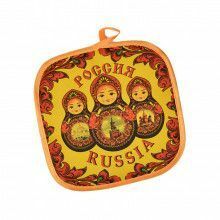 This Kitchen accessory is a hang-able pot holder from Russia in the shape of the beloved matryoshka nesting doll. 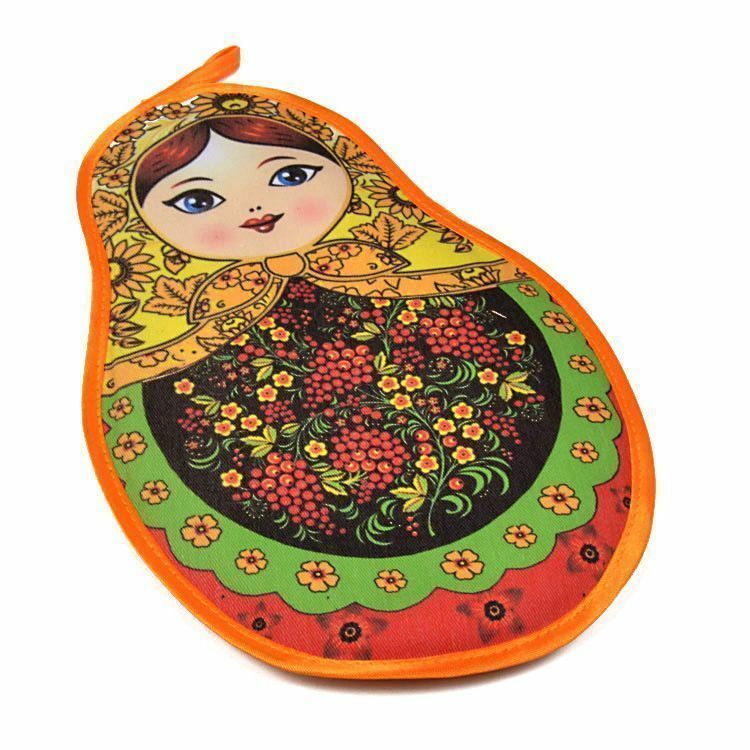 The Russian doll shaped pot warmer features a colorful design with red currant berries on her belly. 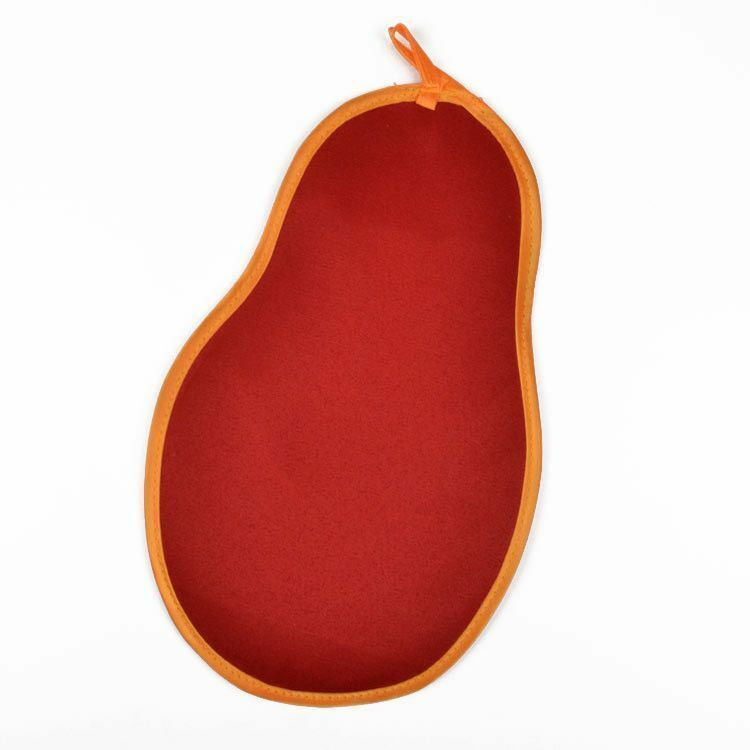 The hand-made potholder is Approximately 11" long and 7" wide. 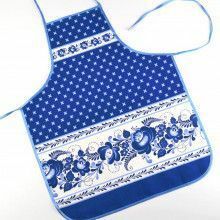 What a fun and unique way to brighten up your kitchen space!